Author/Creator : Rob Heath (suntzu777) all credits goes to him. 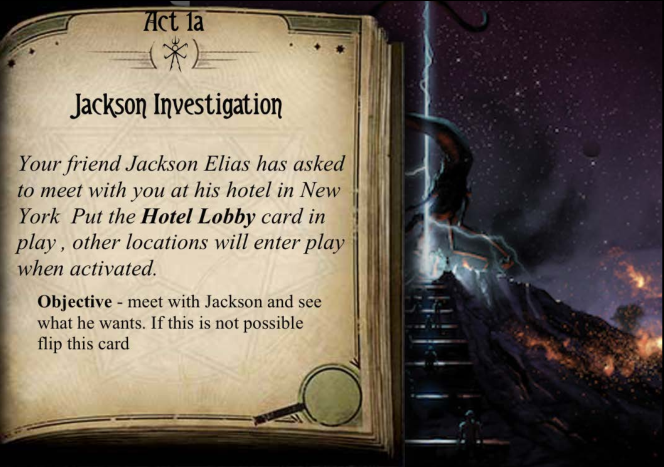 Agenda 1a tells you, which encounter cards to use (same as the adventure “the gathering”). Thank u. The resolutions also’? Hello, can I translate your script into French? Do you still have the illustrations to facilitate the shaping under Strange Eons?